What's The Real Impact of The Milan Derivatives Inquisition? 'I' for Italy after 'G' for Greece? A Milan judge has ordered UBS, JPMorgan Chase, Deutsche Bank and Depfa Bank, a unit of Hypo Real Estate of Germany, to stand trial for alleged fraud in the sale of derivative instruments. The case revolves around a Euro 1.68 (USD 2.31) billion bond issue by the city of Milan on which the four international banks sold derivatives. Over the years, many Italian cities -- amongst other European ones -- have signed up for derivatives contracts, even when the terms were in English(? ), in an attempt to cut interest costs on their borrowings. Two former Milan city officials have also been ordered to stand trial on the same charges, along with 11 bankers from the four banks. Those charged are accused of lying about the derivative-based swaps and falsely representing the deal as a way to reduce Milan’s debt. The "Milan Derivatives Inquisition" could open the floodgates to a string of cases by local and national Italian government entities that claim they were misled by investment banks in regard to their borrowing. The banks deny the charges. In the southern Italian region of Puglia, prosecutors are also seeking to bar Merrill Lynch, part of Bank of America, from government contracts for two years. The move stems from derivatives losses of 870 million euros in regional bonds. Pescara, a southern Italian city, itself took out a total of 108 million euros in interest rate swaps and is suing UniCredit and BNL, a unit of France's BNP Paribas. Italian cities had Euro 35 billion, a third of local governments' debt, linked to similar derivative contracts at the end of last year according to the Italian Finance Ministry. Mark-to-market losses are in the region of Euro 2.5 billion on the contracts, according to the Bank of Italy. 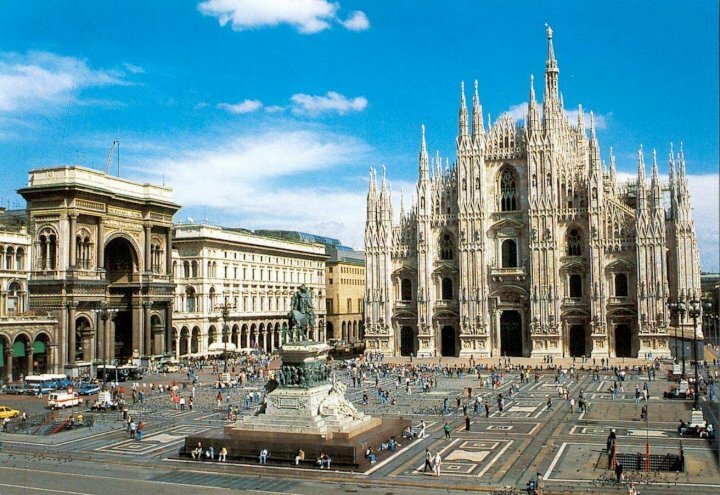 Milan, Italy’s second-biggest city after Rome, is one of several major Italian municipalities that undertook swaps -- derivatives contracts in which a fixed interest rate is exchanged for a floating one -- to save on interest payments. Almost 500 small and large Italian cities are facing large losses on the derivatives contracts, which will only get progressively worse as interest rates rise. Analysts believe the real number could be around 3,000 as more deals emerge. Italian cities are now scrambling to cancel their swaps before interest rates increase, as is widely predicted to happen, sending fees up. The four financial institutions -- including the largest in Switzerland, Germany and USA -- are accused of misleading the city of Milan authorities when they agreed the complex derivatives deals linked to 30-year bonds issued in 2005. That sale was the biggest by an Italian city. The derivatives arrangement was originally designed to reduce interest payments on the city's outstanding loans and continued until 2007. A move which Milan says leaves it facing a Euro 100 million loss at this stage. Milan is also suing the banks for Euro 239 million in overall liabilities. The Italian government banned new derivatives contracts for similar use in 2008, pending new rules. 6. The UK rules say banks must protect customers from conflicts of interest and provide them with clear and fair information. In an administrative case, the United Kingdom closed its derivatives market in the early 1990s when the House of Lords held that interest rate contracts entered by a London council were unenforceable. In separate statements, the four banks denied any wrongdoing and said they would defend themselves. 1. "We are... confident that the strength of our legal position will be demonstrated through the judicial process," JPMorgan said. "...employees involved in the transactions acted with the highest degree of professionalism and entirely appropriately." 2. UBS said it didn't commit any fraud. "No illicit profit was earned by the banks, since the intermediation costs applied were fully legitimate and were not hidden from the City," it said. 3. Deutsche Bank said it was confident its employees involved in the transactions acted with integrity. “We are comfortable saying we believe our case is compelling and we will be cleared,” it said. The "Milan Derivatives Inquisition" will fuel the growing global debate about the use of complex derivatives. If it becomes clear that the municipalities did not understand the risks and costs they were taking on, this case will clarify who has responsibility for that. Milan may not be able to argue that it was ignorant about derivatives since the 2005 swap replaced a contract that had been renegotiated repeatedly. With banks putting in place a complex deal that had to be overseen for 30 years with hefty back-office costs, the city of Milan could not expect that the banks were going to take that position for free. However, if the banks are found guilty all swap deals, involving complex derivatives contracts, with Italian cities could be called into question and other banks could find themselves facing similar charges. Remember the recent ATCA briefing, "Enigmatic Greek Saga of Hiding Government Debt via Complex Derivatives"? Greece, in the use of complex derivatives, did nothing more than get itself money right away, with an agreement to pay it back slowly against future revenues. Government entities in Italy have essentially done something similar. Italian local governments rushed into derivatives in part because they helped ease the rigidity of a 2001 law that bars taking on new debt except to finance investment. The big draw was the upfront payment many cities got in advance for signing revamped agreements, usually done without a bidding process. Renegotiated deals shoved back payment and costs. Revised deals also carried increasingly restrictive terms and higher costs for municipalities and other local governments. When rates were low, when many contracts were agreed, local authorities using a variable rate could find their costs shrinking in Italy and elsewhere in Europe. However, as rates began to rise, Italian officials found themselves owing much more money. This is the Faustian pact for using derivative instruments for such purposes. Italian national and local government entities are now trapped via the restrictive derivative contracts, with adverse consequences for Italian sovereign debt and cascading effects for the Eurozone. Incidentally, where did Christoforos Sardelis, head of Greece’s Public Debt Management Agency from 1999 to 2004, go? He joined Banca IMI, the investment-banking unit of Italy’s Intesa Sanpaolo. He clearly knew what comes after 'G' for Greece? 'I' for Italy! Will the financial markets come to a similar conclusion?